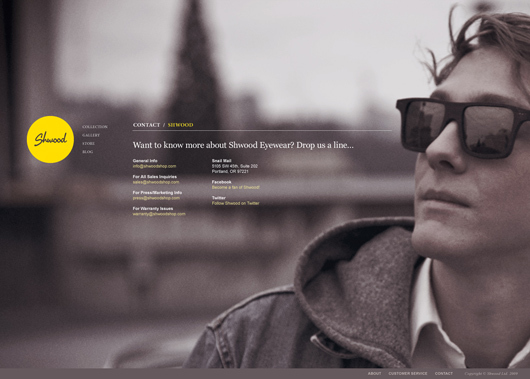 Showcased Work: Shwood Website Design | Shelby White - The blog of artist, visual designer and entrepreneur Shelby White. I love the layout of that homepage dude, nicely done. clean and simple. very well done! Very nice, clean cut, turns me on. Great job, would you be interested in doing something similar for us? Really great designs, nice job, thanks for posting the sample work here!